This talking watch features a simple to use design with all buttons on the front face for easy access. With a sportier look and easy to buckle black band, this watch is ideal to use while active. The time and alarms are easy to set and the "talk" button is the largest round button on the watch. 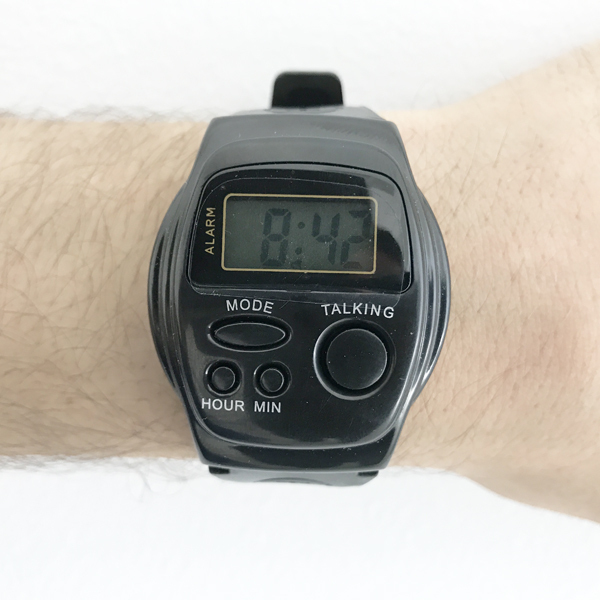 Low vision users will appreciate how convenient and easy it is to use this sporty watch. * Diameter: 1.5" x 2.5"